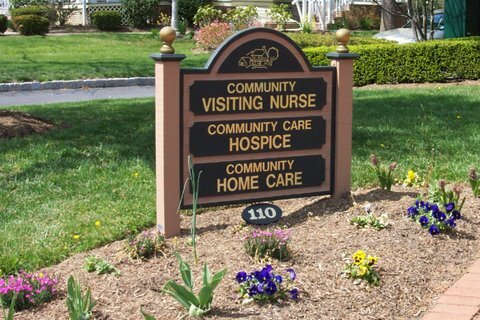 Community VNA has an impressive history of providing high quality home health care to Somerset and Middlesex County residents since 1948. As an organization, we focus on the development of staff and programs to meet the health needs of local residents. The quality services we provide, our leadership in our field and our commitment and contribution to individuals and the community is why our caring staff makes a difference. In July, 2015, CVNA earned 4.5 stars in Medicare's new 5-Star Rating System for home health care agencies. For an overview of our services, we invite you to view our five-minute video. Today, health care and disease prevention continues to be a primary mission of Community VNA. Our nurses work with patients and their families to provide education about their illness, assess and monitor their health care status, plan and deliver care, and follow through to evaluate the outcomes attained. Therapists are also an integral part of Community VNA. Services include physical and occupational therapy and speech language pathology. Our therapists strive to help our patients function as independently as possible. Certified home health aides provide needed assistance to help our patients remain safely in their homes. Services may include such things as bathing, dressing, meal preparation and laundry. A grant from the Somerset County Office on Aging and the Somerset County Freeholders provides this care free of charge to low income patients with impairments in activities of daily living. Community Care Hospice provides care and support to individuals and their families who are faced with a life-limiting illness. Hospice care is provided by a caring and dedicated team comprised of the patient, their caregiver(s), the patient’s physician, the hospice medical director, nurses, social worker, chaplain, hospice aides and volunteers. The goal of the hospice team is to promote dignity, comfort and peace for the patient at the end of life. In the community setting, such as at our child health clinics, our nurses work alongside physicians, guiding families in recognizing normal growth and development. Our efforts ensure that parents receive education on child health and that children receive needed immunizations. A special program for chronic disease management is provided in collaboration with the Somerset County Office on Aging to provide specialized in-home education and care to adults age 60+ who have been diagnosed with diabetes and/or congestive heart failure. Our entire staff has the common goal of helping our patients function at their highest level of independence, caring for themselves competently and knowledgeably. "My aide was kind, concerned and helped me tremendously."